After the great release of “Ivano Tetelepta & Roger Gerressen / Floating EP” that have been cousing a buzz in the underground scene. Japanese rising label “Fasten Musique” continues to lead the deep tech minimal pack with its third release featuring the finest producers. Gabriele Carasco aka Howl Ensemble is a deejay, producer, pianist and live performer based in Rome. Recently he has released different EPs on label as Nilla (All Inn), Madhouse, Amam,T-Bet,Off Recordings and many others. 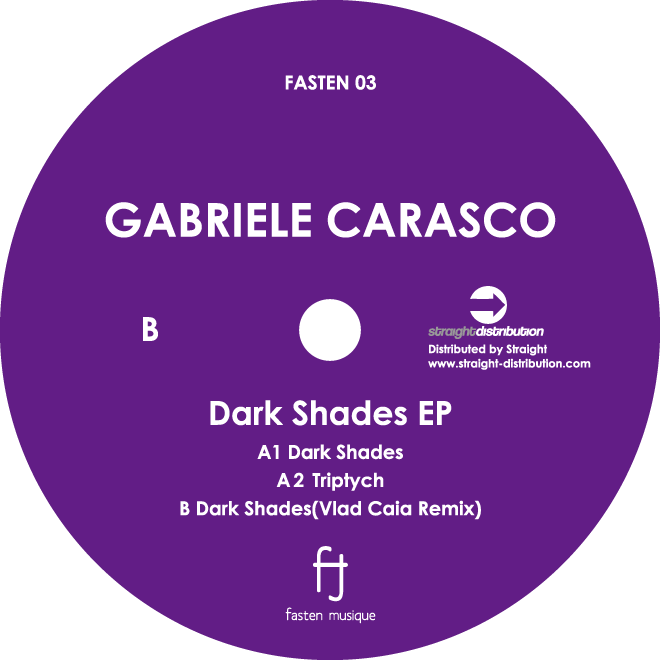 This release shows his musical talent, the finest tech house tracks “Dark Shades” and “Triptych” are reflected his musical line that unions of acoustic and electronic instruments with some jazz influences. The modern minimal and experimental sound which retain the deep musical vibes with crisp beats and rolling grooves.